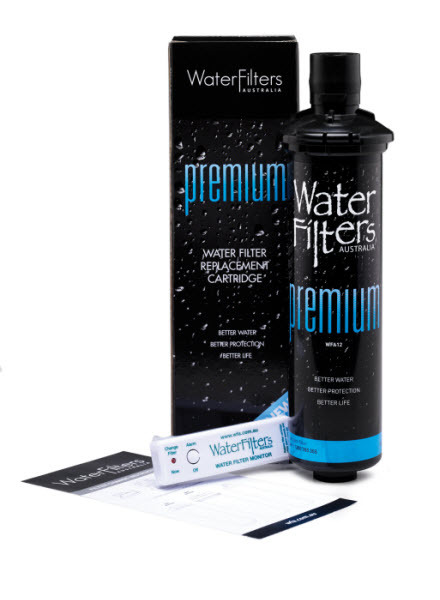 The WFA Premium water filter cartridge provides filtration delivering one years* supply of clean, clear healthy water at a fraction of the cost of expensive bottled waters. * The useful life of a filter cartridge is subject to usage, water quality and pressure. The WFA Premium cartridge filters out contaminants including cryptosporidium, giardia, rust, and sediment. Whilst the activated carbon compound within the cartridge removes chlorine, bad tastes and odours. The cartridge is bayonet style which makes changing the cartridge every 12 months as easy as changing a light bulb. The filter process does not remove naturally occurring minerals and salts. The Premium filter does not remove fluoride. Great for drinking, cooking, baby formula, washing fruit and vegetables, ice, tea and coffee.